The Indian Ocean is the third largest of the world’s five oceans, making up about 20% of Earth’s water. Named after the country of India, it is bordered by Asia to the north, Antarctica to the south, Australia to the east, and Africa to the west. 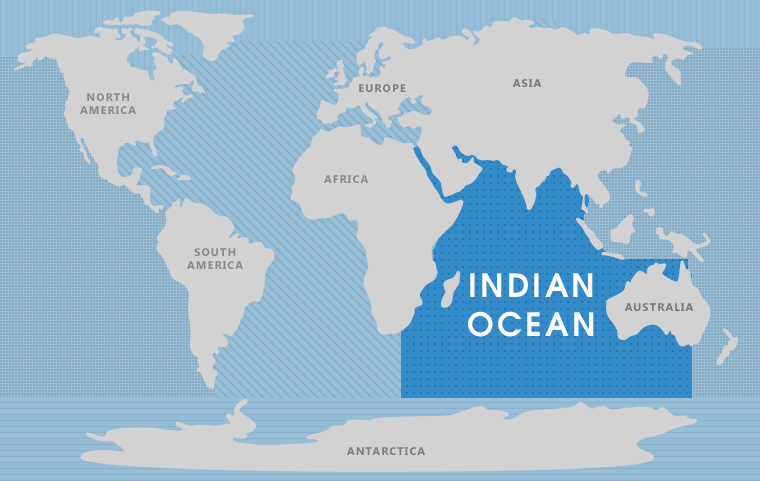 The Indian Ocean boasts an area of approximately 28,360,000 square miles (73,440,000 sq km), including the Persian Gulf, Red Sea , Andaman Sea, Arabian Sea, Bay of Bengal, Flores Sea, Great Australian Bight, Gulf of Aden, Gulf of Oman, Java Sea, Mozambique Channel, Savu Sea, Strait of Malacca, Timor Sea, and other tributary water bodies. The Indian Ocean is the youngest of the world’s major oceans. There are a number of islands that line the continental edges of the Indian Ocean. Some of these major island nations include Madagascar, Comoros, Seychelles, Maldives, Mauritius, and Sri Lanka. In addition, there are several large rivers that flow into the Indian Ocean. 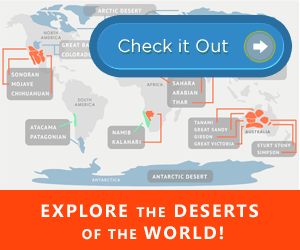 These include the Indus, Ganges, Zambezi, Shatt al-Arab, Narmada, Brahmaputra, Jubba, and Irrawaddy rivers. Beneath the surface, the Indian Ocean has active spreading ridges that are part of the worldwide system of mid-ocean ridges. The ocean floor is most heavily occupied by the Mid-Indian Ocean Ridge. It is further divided by both the Southeast and Southwest Indian Ocean Ridges and the Ninety East Ridge. The Indian Ocean is the warmest ocean in the world. It is affected by a monsoon climate, which accounts for a characteristic reversal of surface currents. The northeast monsoon occurs between the months of December and April when high-pressure systems from cold, winter air cause strong, north-east winds to blow. Inversely, the southwest monsoon occurs from June to October. Its strong southwest winds are a direct result of low atmospheric pressure from hot, summer air. This unique reversal of surface currents often causes tropical cyclones from May to June and October to November. The Indian Ocean was opened to trade earlier than both the Atlantic and Pacific Oceans. Not only are its waters fairly calm, but its powerful monsoons also enable easy sailing for ships traveling west early in the season. The Indian Ocean is vital to the trade industry, as it provides major sea routes that connect the Middle East, Africa, and East Asia with Europe and the Americas. Approximately 40% of the world’s offshore oil production comes from the Indian Ocean, with an especially heavy traffic of petroleum and petroleum products coming from the oil fields of the Persian Gulf and Indonesia. The Indian Ocean provides its beaches with all kinds of valuable minerals. Countries like India, Pakistan, South Africa, Indonesia, Thailand, and Sri Lanka benefit from this. In addition, fishing fleets from bordering countries as well as Russia, Japan, South Korea, and Taiwan also take advantage of the Indian Ocean, as fish are extremely important to both consumption and trade. Find more interesting facts about the Indian Ocean.